Indonesia brings you a different culture on every island, with a laid back atmosphere and a wealth of sights to explore. It’s ideal for couples wanting to spend their days simply unwinding on the beach or in the beautiful hillsides of Bali, as well as explorers wanting to immerse themselves in the fascinating history. Families will find plenty for them too, with watersports galore and child friendly hotels available. Explore some of Indonesia’s best beaches with a trip to lively Seminyak or serene Jimbaran Bay, or head into the beautiful hillsides and take in the emerald green rice paddies and tropical forests in Ubud. Here you’ll find friendly monkeys at the Sacred Monkey Forest Sanctuary, as well as a chance to immerse yourself in the wonderful artworks and sculptures the country is so well known for. When it comes to relaxing there are some excellent spas, where you will find plenty of fantastic yoga studios, choose from group or private classes. Holidays in Indonesia bring you a selection of excellent hotels, as well as a unique cuisine and fascinating culture. It’s home to some of the most photographed landscapes and temples in the world – from its pristine beaches to temples rising out of the sea, and vibrant rice paddies built into the side of rolling green hills. 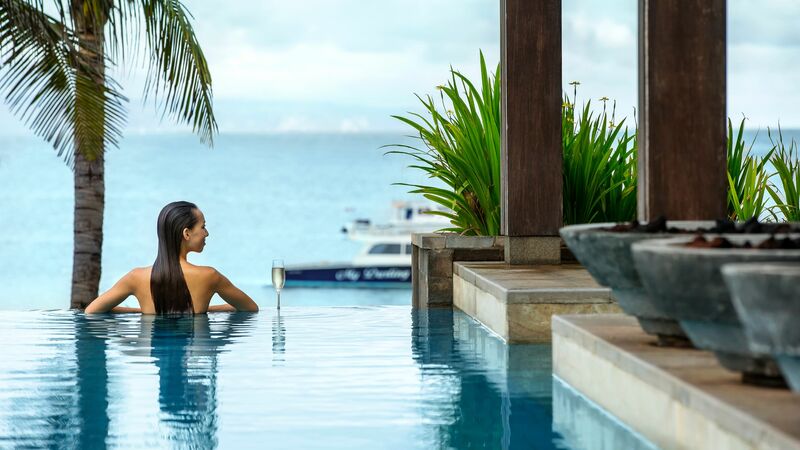 Luxury restaurants can be found in almost every town, while those wanting to unwind with a day at the spa will find plenty of options as well. 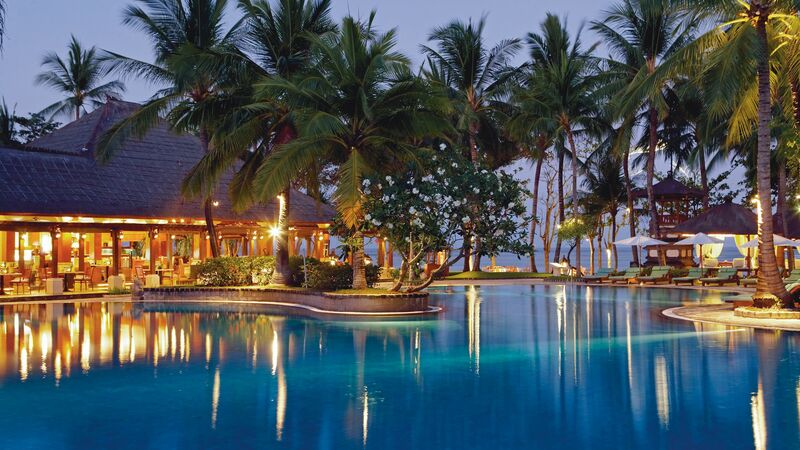 At Sovereign we’ll help you find the ideal hotel for your luxury holiday in Indonesia. We’ve put together a selection of the best properties so you know you can simply relax and unwind, with everything taken care of. 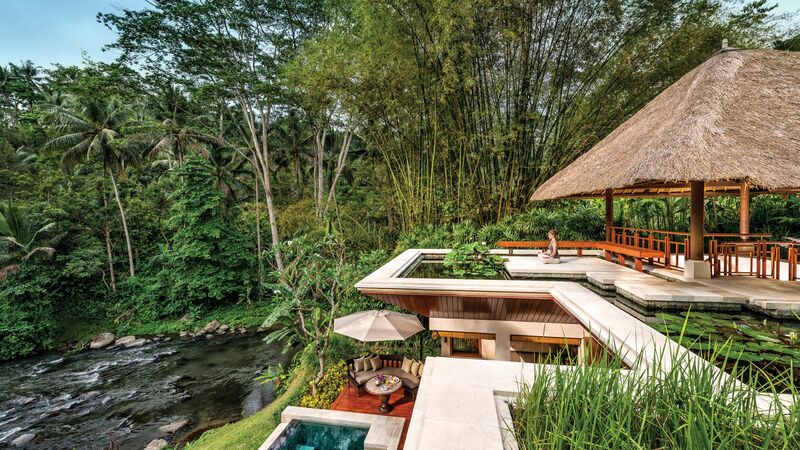 Stay at The Samaya Ubud for luscious green gardens with elegant modern décor and beautiful surrounding landscapes. 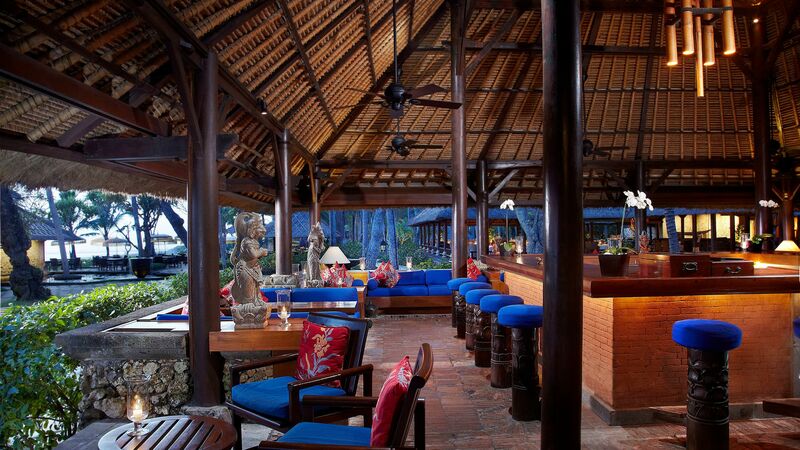 For white sands, a choice of five bars and restaurants, a Kids’ Club, and tropical gardens, choose The St Regis Bali Resort. 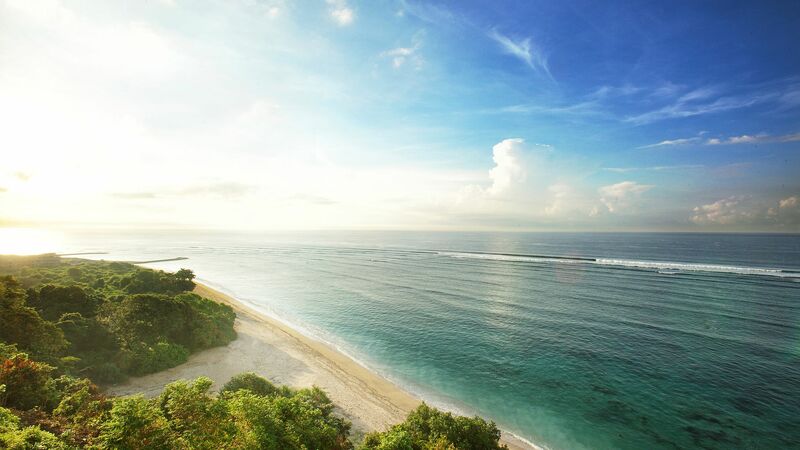 Bali balances between the volcanic islands of Java and Lombok. It’s something of a tropical daydream, featuring palm-brushed beaches, waterfall-splashed rainforests and spiritual retreats. Indonesia is around 16 hours' flight from the UK. Indonesia’s tropical climate is ruled by two distinct seasons. The rainy season lasts from around November to February, while the dry season is May to September. The summer months are therefore the best time to go, with temperatures hanging in the late 20s. Aim for early summer if you’re after less humidity and quieter beaches. Tipping isn’t particularly common in Indonesia. As a rule of thumb, services charges are added to the bill at restaurants and hotels. If you would like to tip your waiter for exceptional service, aim for 10,000 to 20,000 rupiah, and make sure you put it in their hand. The same goes for hotel porters and private drivers, although taxi drivers won’t normally expect a tip.